After four years of currency controls, the peso traded freely from Thursday morning as part of an election pledge by the newly elected Mauricio Macri - the currency fell almost 40% versus the dollar. President Macri, who took office last week, has promised to improve Argentina's economic fortunes by attracting more international investment and adopting 'pro-business' policies. 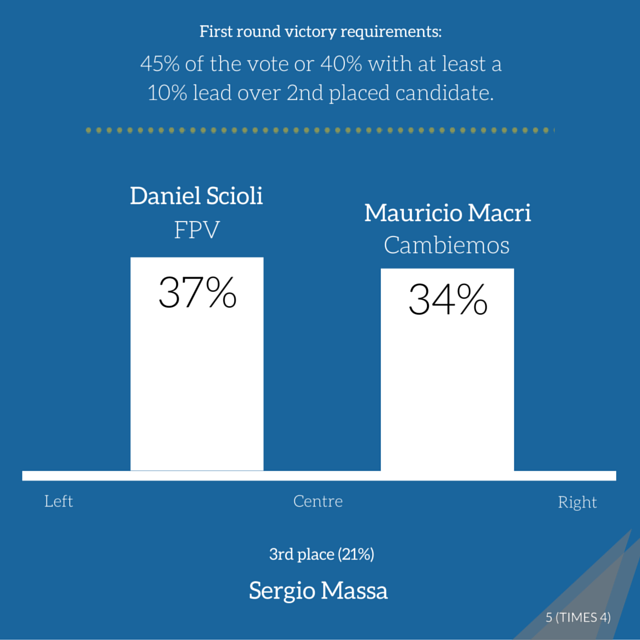 The centre right, pro-business mayor of Buenos Aires, Mauricio Macri, will be Argentina's next president after defeating Daniel Scioli of the ruling Peronist movement Frente para la Victoria (FPV) in Sunday's election, which was the country's first ever second round run off. Speaking to supporters last night, Mr. Macri, who will replace the outgoing Christina Fernandez de Kirchner, reiterated his campaign pledge to build an Argentina with 'zero poverty'.